Researchers led by Professor Paul Elliott at the Imperial College London studied 4,680 people aged 40-59. They recommend that a diet high in vegetable products be part of a healthy lifestyle for prevention of high blood pressure and related chronic diseases, reported the online edition of BBC News. 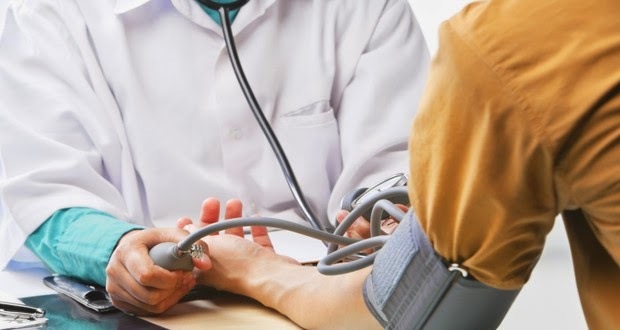 Belinda Linden, medical spokesperson for the British Heart Foundation, said previous research had also shown that blood pressure was better controlled with a vegetarian diet. Although the researchers did not find any strong evidence that high meat consumption is linked to high blood pressure, Linden said: "Vegetables contain less salt and more antioxidant vitamins, are low in calories, high on fibre and also help to control diabetes. "Having proteins found in vegetables rather than those derived from animals may offer a number of natural benefits for people who are at a high risk of coronary heart disease, stroke or diabetes." "Understanding more about these vegetarian proteins could guide us in preventing or treating heart and circulatory disease and will allow us to lead an appropriate healthy lifestyle." Symptomatic Homeopathy works well for Hypertension,. So its good to consult a experienced Homeopathy physician without any hesitation.